What do you get when you combine ice cream and a 110 degree day? 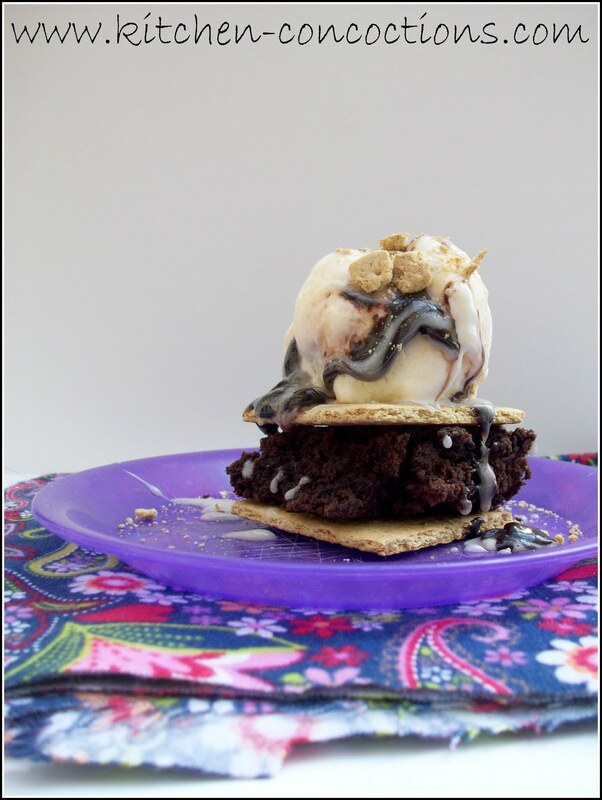 A hot mess or a cool treat depending on how you look at it! With summer expected to stick around for many more weeks to come in these parts, ice cream is the perfect cool me down dessert after a family dinner. However, with this massive heat wave you better eat it quick before all you have left is a puddle of cream! This extravagant S’mores Ice Cream Sundae is simple to make treat that incorporates all the fun flavors of s’mores in a unique but satisfying way. Break graham crackers in half into two squares. Cut brownies into squares the size of the graham cracker squares. Sandwich the prepared brownie between the two graham crackers. 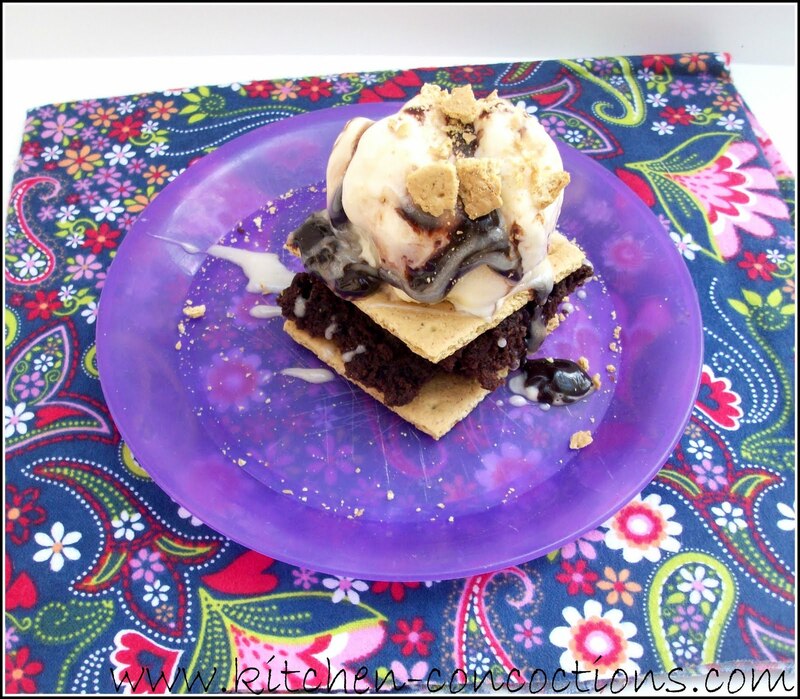 Top brownie/graham cracker sandwich with vanilla ice cream. Drizzle ice cream with both chocolate and marshmallow sauce. Top ice cream with additional crushed graham crackers. Place marshmallow crème, butter, milk, and vanilla extract in a small sauce pan and heat to a boil. Gradually stir in confectioners’ sugar until thoroughly mixed in and sauce is smooth. Reduce heat and allow sauce to simmer for 5 minutes.